Loved the view and the space of the apartment. The balcony was huge and was lovely to sit to enjoy the view or read and the apartment was well equipped with everything you needed. It was a short walk to the old city for great food. The beach was spectacular. The apartment was located just 50 mtrs from La Concha Beach. You can smell the salty air from the window, which was great. 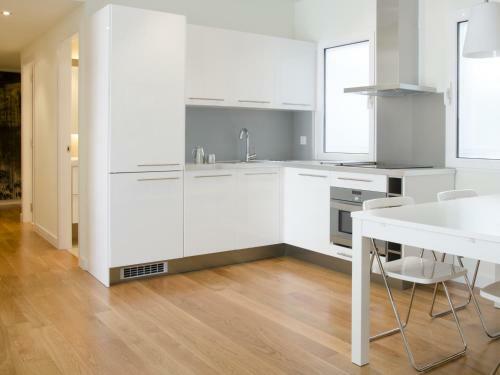 The unit was modern and clean and equipped with new appliances and kitchen utensils. The description of the apartment was honest and truthful. Best of all, the management exerted effort to book us in Michelin star restaurants, directed us to the better pintxos bars, and made us feel at home. We felt very welcome and will surely be back for longer stays. Nice, modern apartment close to everything. Amaia, our contact person was really nice and took good care of us. Definitely recommended. Reasonable location of the apartment but being on a very busy road, near a pub and on the ground floor was not good. The shower was the best thing in the apartment. Our host was very friendly and her help in booking taxis from the airport was much appreciated. We had a lovely stay and would definitely come back. La ubicación próxima a la playa y al centro de la ciudad. Habitaciones grandes y cómodas. La ubicación es perfecta y el departamento muy bueno tal como aparecía en las fotos. Ester muy atenta y servicial, muy rápida para contestar nuestras preguntas. Het appartement is zeer ruim, en beschikt over een balkon met zicht over de nabijgelegen straat en ook nog op de zee. De voorzieningen (badkamers, slaapkamers en keuken) zijn goed. De host was zeer vriendelijk en hielp ons ook met een nabijgelegen priveparking voor onze huurauto. San Sebastian is in eerste plaats een culinaire bestemming, de pinchos zijn echt van ongevenaarde kwaliteit. Daarnaast zijn de parken een aanrader, o.a. Aiete Park, met prachtige palmen en andere tropische beplanting. Lock in a great price for Emyrent I San Martin – rated 9 by recent guests! 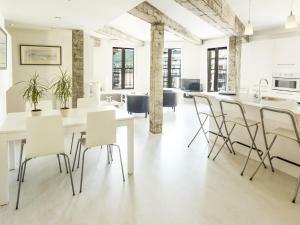 Emyrent Apartments San Martin offers stylish apartments with free WiFi and city views. 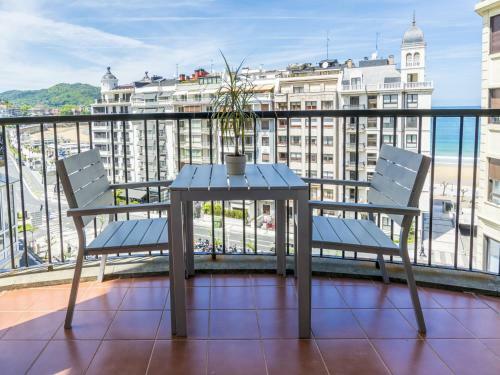 Located in San Sebastián, the apartments are a short 1-minute walk from the sandy Playa de la Concha Beach. 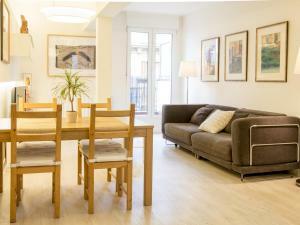 Each bright apartment comes with a seating area with a TV. The kitchen is equipped with a dishwasher, coffee machine and a coffee and tea maker. The modern bathrooms come with a bath or shower and a hairdryer. 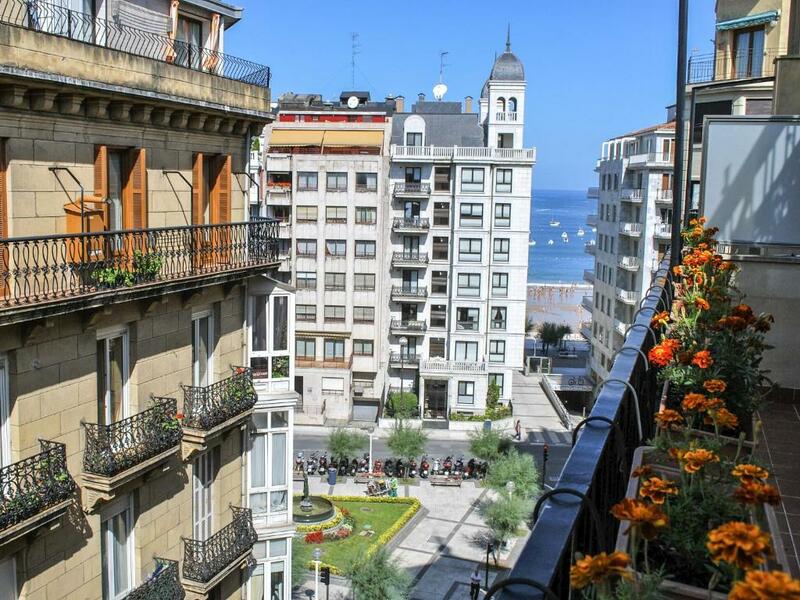 If you feel like visiting the surroundings, check out Kursaal located 1.1 mi from the apartments. Bilbao Airport is located 62 mi from the property. 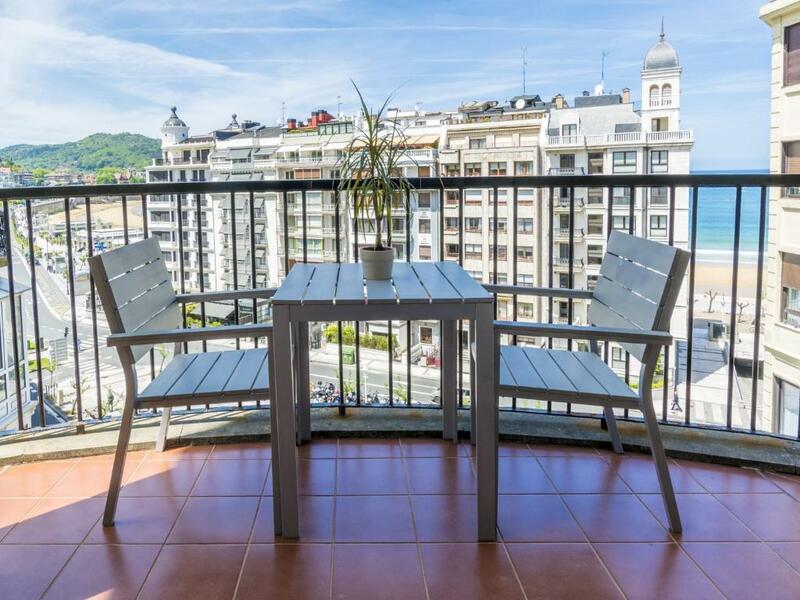 뀐 Located in the real heart of San Sebastián, this property has an excellent location score of 9.7! 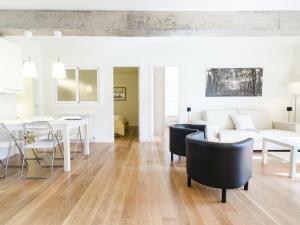 When would you like to stay at Emyrent I San Martin? 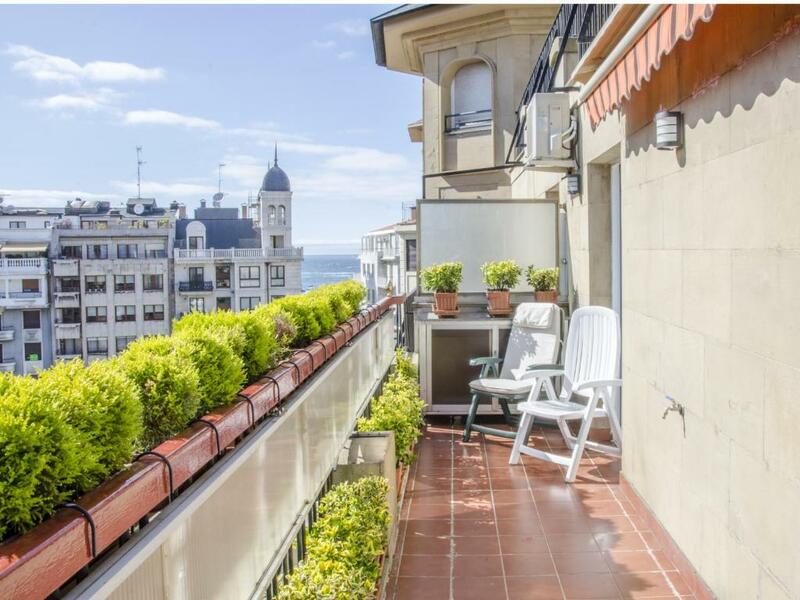 This apartment features a furnished terrace. It offers free WiFi, a seating area and a fully equipped kitchen. This apartment features sea views. It includes free WiFi, a seating area with a TV and a fully equipped kitchen. 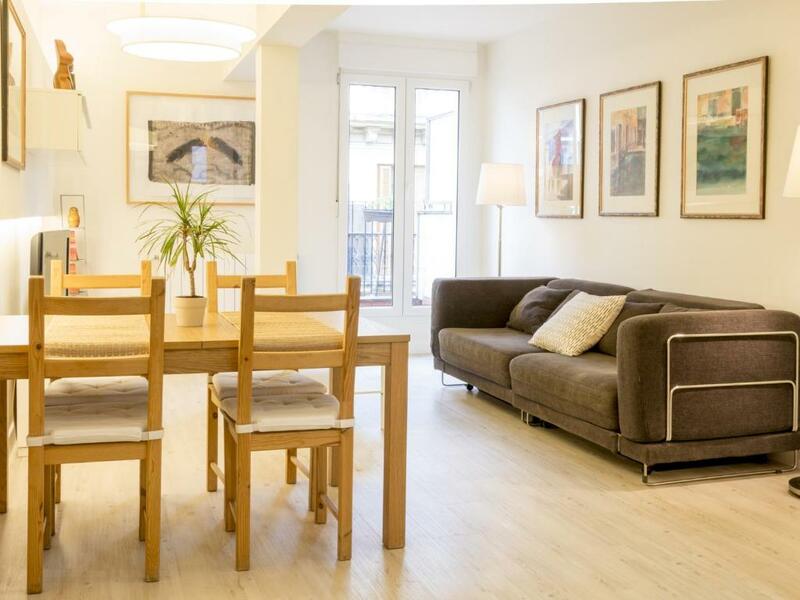 This bright apartment features a seating area with a TV and a fully equipped kitchen. This apartment features a kitchenette, seating area and kitchenware. This apartment has a seating area, private entrance and kitchen. It is located in an elegant building just one street away from the world famous La Concha Beach and a short stroll away from all the tourist attractions. 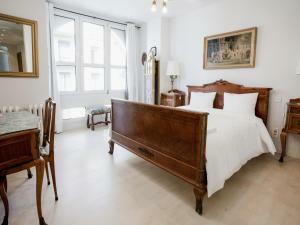 All the apartments are fully refurbished. House Rules Emyrent I San Martin takes special requests – add in the next step! Emyrent I San Martin accepts these cards and reserves the right to temporarily hold an amount prior to arrival. Please note that late check-in after 21:00 has a surcharge of EUR 30. Check-out before 08:00 also has a surcharge of EUR 30. Please inform Emyrent I San Martin of your expected arrival time in advance. You can use the Special Requests box when booking, or contact the property directly using the contact details in your confirmation. The beds were too low for our liking. We would prefer higher for getting in and out of. Very noisy apartment. Wifi hardly worked and this was an essential for us. As the weather was terrible during our visit, TV was the only option for some time during the da/night. With barely 1 channel in English, it would have been better if there was some option for cable tv or at least being able to watch a dvd. Bed was average and pillows were awful. Very disappointing. Our apartment was located on the ground floor facing the street and can become noisy when the windows are open.